MARILYN COCHRAN-SMITH is the Cawthorne Professor of Teacher Education for Urban Schools at the Lynch School of Education, Boston College, in Chestnut Hill, Massachusetts. She directed the Ph.D. program in Curriculum and Instruction from 1996-2017. A teacher, education scholar and practitioner for more than 40 years, Dr. Cochran-Smith is widely known for her scholarship regarding teacher education research, practice and policy and for her sustained commitment to teaching and teacher education for diversity and social justice. Currently, Professor Cochran-Smith is the principal investigator for a Spencer Foundation funded research project about teacher preparation at “new graduate schools of education” and the leader of Project TEER (Teacher Education and Education Reform), which explores the impact and implications of the education reform movement for teacher education practice and policy. Dr. Cochran-Smith and Project TEER published Reclaiming Accountability in Teacher Education (Teachers College Press) in April 2018. The book was named a Critics' Choice for 2018 by the American Educational Studies Association. Dr. Cochran-Smith has written nine other books, six of which have won national awards, and more than 200 articles, chapters, and editorials related to teacher education. From 2000-2006, she was the chief editor of the Journal of Teacher Education. Dr. Cochran-Smith also co-edited (with Sharon Feiman Nemser, John McIntyre, and Kelly Demers) the Third Handbook of Research on Teacher Education: Enduring Questions in Changing Contexts, which was published in 2008. A frequently honored scholar, Dr. Cochran-Smith is a former AERA President, an inaugural AERA Fellow, and an elected member of the National Academy of Education. 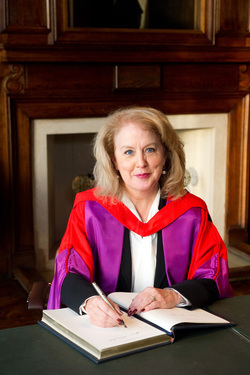 Dr. Cochran-Smith has received two honorary doctorates from the University of Glasgow in Glasgow, Scotland, and the University of Alicante in Alicante, Spain, in recognition of her international work in teacher education research, practice and policy. This year, she was awarded the AERA Division K (Teaching and Teacher Education) Legacy Award. In addition, she has received many other awards, including AERA’s Research to Practice Award, the Lifetime Achievement Award from the Literacy Research Association, the Carl Grant Research Award from the National Association of Multicultural Education, and all of the major awards from the American Association of Colleges for Teacher Education (AACTE), including the David G. Imig Award for Achievement in Teacher Education, the Margaret B. Lindsey Award for Research in Teacher Education, and the Edward C. Pomeroy Award for Outstanding Contributions to Teacher Education. Dr. Cochran-Smith is also a frequent keynote presenter nationally and internationally. She gave the keynote address at the Teacher Education Policy in Europe Conference in Braga, Portugal, in May 2018, and the keynote at the Teacher Education and Educational Research in the Mediterranean Conference at the University of Malta in June, 2018. Other recent keynote addresses and major presentations include: November 2017 at the "The Global Trends and Challenges Facing Teacher Education" Conference at Akershus University College (Oslo, Norway); November 2017 at the National Association of Multicultural Education (Salt Lake City, Utah); October 2017 at the Association of Teacher Education in Europe (Dubrovnik, Croatia); September 2017 at Georgia State University School of Education (Atlanta, Georgia); June 2016 at the Bringing Teacher Education Forward Conference at the University of Oslo (Oslo, Norway); October 2015 the Massachusetts Association of Colleges of Teacher Education (Worcester, MA); October 2015 at the Pennsylvania Association of Colleges of Teacher Education (Harrisburg, PA); and June 2015 at the ORD Annual Conference on Education Research (Leiden, Netherlands). During the spring 2016 semester, Dr. Cochran-Smith and her husband, Dr. Larry Ludlow (Chair, Education Research, Measurement and Evaluation Department, LSOE, BC) lived in Auckland, New Zealand, where they were Adjunct Professors at the University of Auckland. During this time, they worked with the Project RITE research team and other University of Auckland faculty and students and spent time exploring the north island. They also lectured at Monash University in Melbourne, Australia and Queensland University of Technology in Brisbane, Australia. Other international keynotes and invited lectures include presentations at: Ewha Women’s University (Seoul, South Korea), Seoul National University of Education (Seoul, South Korea), the University of Glasgow (Glasgow, Scotland), Roehampton University (London, England), the Singapore Academy of Teachers and the Singapore Principals’ Academy (Singapore), the Norwegian National Graduate School of Teacher Education (Trondheim, Norway), the University of Auckland Faculty of Education (Auckland, New Zealand), St. Patrick’s College (Dublin, Ireland), the Teacher Education Forum of Aotearoa New Zealand (TEFANZ) (Auckland, New Zealand),the University of Haifa (Haifa, Israel), the European Association of Teacher Educators (Budapest, Hungary), the Ireland Teaching Council’s Biennial National Conference (Cork, Ireland), World Teachers Day Conference (Wellington, New Zealand), and Pontificia Universidad Catolica de Valparaiso (Valparaiso, Chile). In 2006, Dr. Cochran-Smith served as the inaugural C.J. Koh Endowed Professor at the National Institute of Education in Singapore. In 2000, she was among the first Scholars in Residence at the Mofet Institute for Teacher Education in Tel Aviv, Israel. Dr. Cochran-Smith also presents regularly at colleges and universities in the U.S. and at the annual meetings of many national professional organizations related to teacher education, teacher quality and teaching. Recent U.S. presentations include: Loyola University (Chicago, Illinois), University of San Diego (San Diego, California), Eastern Michigan University (Ypsilanti, Michigan), Redlands University (Redlands, California), the New England Research Association (Rocky Hill, Connecticut), the New England Research Organization (Portsmouth, New Hampshire), the University of Georgia, Canisius College (Buffalo, New York), Rhode Island College (Providence, Rhode Island), the University of Rhode Island (Kingston, Rhode Island), Kappa Delta Pi (Indianapolis, Indiana), Brigham Young University (Provo, Utah), the University of Utah (Salt Lake City, Utah), and the Ohio Board of Regents (Columbus, Ohio). Dr. Cochran-Smith has been an active member of the ﻿American Educational Research Association﻿ (AERA) for more than 35 years. She served as AERA President in 2004-2005, Vice President of AERA for Division K (Teaching and Teacher Education) in 1998-2000, Chair of the AERA Publications Committee in 2000-2003, Chair of the Task Force on Standards for Humanities and Arts-Based Education Research, 2006-2008, and a member of the Committee on Promotions and Tenure, 2012-14. Dr. Cochran-Smith was Co-Chair (with Ken Zeichner) of AERA's National Panel on Research and Teacher Education and Co-Editor of the panel’s final report, Studying Teacher Education, which was published in 2005. Cochran-Smith is an AERA Fellow and a frequent presenter, chair and discussant for sessions in Division K, the Teacher as Researcher SIG, and a number of other divisions and SIGs each year. Dr. Cochran-Smith was elected to the National Academy of Education in 2009, and she has been an active member since that time. From 2011-2015, she served as the inaugural Chair of the Professional Development Committee, which oversees the Academy’s two major fellowships programs, the NAEd/Spencer Foundation Dissertation Fellowships and the NAEd/Spencer Foundation Post-Doctoral Fellowships. She was also the Chair of the Fellowship Retreat Planning Committee. Currently, Dr. Cochran-Smith serves as a member of the Board of Directors; her term is 2015-2019. Dr. Cochran-Smith was elected to the Laureate chapter of the national education honorary society, ﻿Kappa Delta Pi﻿, in 2003 and served as the Laureate representative to the KDP Executive Council from 2010-2012. She also served on NCATE’s Blue Ribbon Panel on Clinical Preparation and Partnerships for Improved Student Learning, whose report, Transforming Teacher Education through Clinical Practice: A National Strategy to Prepare Effective Teachers, was published in 2010. She was also a member of the National Research Council’s Committee on Teacher Education, which was charged by Congress to study the state of teacher preparation in the U.S; the group’s report, Preparing Teachers: Building Sound Evidence for Policy, was published in 2010. She was also a member of the National Academy of Education’s Committee on Teacher Preparation, whose report, Preparing Teachers for a Changing World, was also published in 2005. Dr. Cochran-Smith and Dr. Susan Lyle are the founding co-editors of the Teachers College Press book series on Practitioner Inquiry. This book series, which is the only one of its kind in the world, now includes more than 50 books by practitioners and/or about practitioner research, including Inquiry as Stance: Practitioner Research for the Next Generation, which was co-authored by Cochran-Smith and Susan Lytle in 2009. The series reflects Cochran-Smith’s long-term research agenda related to theorizing and implementing in practice the notion of inquiry as a life-long stance on educational practice, including teaching, school leadership, and teacher education. Cochran-Smith and Lytle’s previous book on practitioner inquiry, Inside/Outside: Teacher Research and Knowledge has been a Teachers College Press best-seller since it was first published in 1994. Over the last 30 years, Cochran-Smith and Lytle have co-authored and co-presented their ideas about practitioner research in a wide array of scholarly and professional journals and at local, national and international conferences. Both Inside/Outside and Inquiry as Stance are widely used in the U.S. and internationally as texts for graduate courses and professional development projects and programs related to teacher research, action research, practitioner inquiry, and school leadership. Dr. Cochran-Smith has won many national awards related to teacher education. In 2018, she won the AERA Division K (Teaching and Teacher Education) Legacy Award. In 2010, she received AACTE’s David Imig Award for Distinguished Lifetime Achievement in Teacher Education. In 2007, she received AERA’s Research to Practice Award for her book, Policy, Practice and Politics in Teacher Education. She has also received a number of other AACTE awards, including the Pomeroy Award for Outstanding Contributions to Teacher Education, the Margaret Lindsey Award for Distinguished Research in Teacher Education, and the Research and Writing Award in both 1995 and 2005. Dr. Cochran-Smith has also received distinguished research and scholarship awards from the National Association of Multicultural Education, the Association of Teacher Educators, Division K of AERA, the New York State Association of Colleges for Teacher Education, and Boston College. Dr. Cochran-Smith was a Phi Beta Kappa graduate of the College of Wooster in 1973 where she earned a B.A. with a major in sociology and certification as an elementary teacher, K-8. She later earned certification as a Reading Specialist and Reading Supervisor for all grade levels. Dr. Cochran-Smith began her education career as an elementary school teacher; she taught third, fifth and sixth grade reading, language arts and social studies for six years. In 1975, she received the “Outstanding Young Educator Award,” for her school district. Dr. Cochran-Smith received her Ph.D. in Language and Education from the University of Pennsylvania in 1982. She served as a full-time lecturer, a tenure-track and then tenured Assistant and Associate Professor of Education at the University of Pennsylvania’s Graduate School of Education until 1996 when she joined the Lynch School of Education faculty at Boston College as Professor of Education. In 2005, she was named the inaugural holder of the John E. Cawthorne Chair in Teacher Education for Urban Schools. In addition to her work nationally and internationally, Dr. Cochran-Smith is actively involved in the local work of teacher education and curriculum and instruction at Boston College’s Lynch School of Education. Recently, Dr. Cochran-Smith co-chaired the committee overseeing the Council of Accreditation of Educator Preparation’s (CAEP) accreditation of the Lynch School of Education. This group collected and analyzed multiple data sources related to the outcomes of teacher education, including graduates’ and program impact. In addition, Boston College was one of 11 sites of the national teacher education reform initiative, Teachers for New Era, from 2004-2009. Dr. Cochran-Smith was Chair of the Evidence Team for the TNE project, which was charged with creating and administering assessments regarding the impact and outcomes of the teacher education program and also fostering respect for evidence as part of the culture of teacher education. Members of the team presented this work at many sites locally, regionally, nationally and internationally through 2011, supported in part by an additional grant from the Ford Foundation, which investigated teacher development and teacher retention. In addition to her work with the teacher education programs at the Lynch School of Education at Boston College, Dr. Cochran-Smith was the Director of the Ph.D. Program in Curriculum and Instruction from 1996 to 2017. In this capacity, she worked closely with students and fellow faculty on issues related to recruitment, admissions, curriculum, assessment, and mentoring. Dr. Cochran-Smith frequently co-authors and co-presents with her students at regional and national conferences. From 2012-2016, Dr. Cochran-Smith was the Co-Director (with Dr. Lexie Grudnoff) of Project RITE (Rethinking Initial Teacher Education for Equity), a two-country research team, which features teacher education practitioners and researchers from the Lynch School of Education at Boston College and the University of Auckland’s Faculty of Education in Auckland, New Zealand. Dr. Cochran-Smith continues as an active member of the group, which presents yearly at AERA and at regional conferences in both the U.S. and New Zealand.